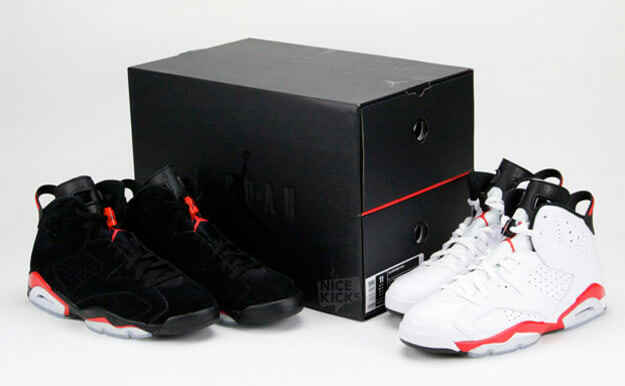 Air Jordan VI Retro "Infrared"
• To the untrained eye, Varsity Red and Infrared are very similar. To the knowledgable sneakerhead, the slight variation between the two colorways makes all the difference. Jordan Brand dropped VIs in both Black/Varsity Red and White/Varsity Red before they dropped this pack, and the rumors abound about why. MJ actually wore Infrared, and that's why this pack is the grail. One of the few $310 packages that people had no problem parting with the paper for.